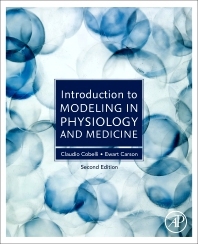 Introduction to Modeling in Physiology and Medicine, Second Edition, develops a clear understanding of the fundamental principles of good modeling methodology. Sections show how to create valid mathematical models that are fit for a range of purposes. These models are supported by detailed explanation, extensive case studies, examples and applications. This updated edition includes clearer guidance on the mathematical prerequisites needed to achieve the maximum benefit from the material, a greater detail regarding basic approaches to modeling, and discussions on non-linear and stochastic modeling. The range of case study material has been substantially extended, with examples drawn from recent research experience. Key examples include a cellular model of insulin secretion and its extension to the whole-body level, a model of insulin action during a meal/oral glucose tolerance test, a large-scale simulation model of type 1 diabetes and its use in in silico clinical trials and drug trials. 3.2 What is a model? 9.2 Why is deconvolution important? Claudio Cobelli received a Doctoral degree (Laurea) in Electrical Engineering in 1970 from the University of Padova, Padova, Italy. From 1970 to 1980, he was a Research Fellow of the Institute of System Science and Biomedical Engineering, National Research Council, Padova, Italy. From 1973 to 1975 and 1975 to 1981, he was Associate Professor of Biological Systems at the University of Florence and Associate Professor of Biomedical Engineering at the University of Padova, respectively. In 1981, he becomes Full Professor of Biomedical Engineering at University of Padova. From 2000 to 2009, he has been Chairman of the Graduate Program in Biomedical Engineering. From 2000 to 2011, he has been Chairman of the Ph.D. Program in Bioengineering at the University of Padova. His main research activity is in the field of modeling and identification of physiological systems, especially metabolic systems. His research is currently supported by NIH, JDRF and European Comunity. He has published 450 papers in internationally refereed journals, co-author of 8 books and holds 11 patents. He is currently Associate Editor of IEEE Transaction on Biomedical Engineering and Journal of Diabetes Science & Technology. He is on the Editorial Board of Diabetes and Diabetes Technology &Therapeutics. Dr.Cobelli has been Chairman (1999-2004) of the Italian Biomedical Engineering Group, Chairman (1990-1993 & 1993-1996) of IFAC TC on Modeling and Control of Biomedical Systems and member of the IEEE EMBS AdCom Member (2008-2009). He has been a member of the Gruppo di Esperti della Valutazione (GEV), Area 09, of the Agenzia Nazionale per la Valutazione del Sistema Universitario e della Ricerca (ANVUR) for the period 2011-2013. He is President of the Organo di Indirizzo of the Azienda Ospedaliera Universita' di Trieste In 2010 he received the Diabetes Technology Artificial Pancreas Research Award. He is Fellow of IEEE, BMES and EAMBES. Ewart Carson is Emeritus Professor of Systems Science in the School of Mathematics, Computer Science and Engineering at City, University of London. Educated at the University of St Andrews in Scotland and City University London, he holds a PhD in Systems Science and a DSc in Measurement and Information in Medicine. He holds Honorary Membership of the Royal College of Physicians (London) , a Life Fellowship of the IEEE, Fellowships of the International Academy of Medical and Biological Engineering and the American Institute of Medical and Biological Engineers, and is a Foundation Fellow of the European Alliance for Medical and Biological Engineering and Science Publications include 13 authored and edited books and more than 300 journal papers and chapters. Areas of research interest and expertise include: modelling in physiology and medicine; modelling methodology for health resource management; clinical decision support systems; evaluation methodologies with particular application in telemedicine; and integrated policy modelling for ICT enhanced public healthcare. As a systems scientist, all this research is undertaken within a clear systemic framework.